Below is a letter by Bush Radio’s Programme Integrator, Adrian Louw highlighting our position on the current debate on media freedom and the protection of information bill. There has been a lot of discussion in the media about press freedom and the proposed media appeals tribunal. There has also been fervent debates in the media and by political parties about the Protection of Information bill and other legislation which is currently before Parliament. We at Bush Radio have hosted a number of programmes about these issues because, as a community radio station, it is not simply the intellectual debates among politicians and the mainstream media which is important, but how these proposals and laws will affect the communities we serve – and consequently the repercussions on the operations of this little community radio station at the foot of Africa. 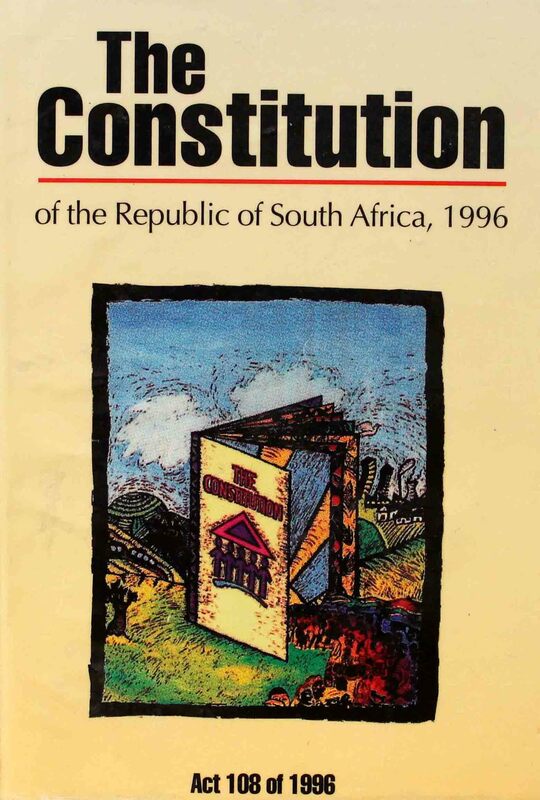 We need to ask how these documents impact your fundamental right to freedom of expression and access to information which is enshrined in South Africa’s constitution? Most importantly, how will it affect your right to know? We facilitate your access to information and are an outlet for your ideas, concerns and challenges and this process should not be hampered by officials who choose the kind of information to which you have access. We need to ensure that our young broadcasters do not shy away from digging deeper because they are scared of being targeted by the authorities. Another important aspect of what we do is highlighting your rights as a responsible citizen in South Africa. We cannot and will not force you to believe anything. Our role is to provide you with access to Bush Radio and relevant information, help you digest this information and then you to make up your mind. We cannot and will not support any proposed legislation or movement aimed at curtailing your right to express yourself in an open and democratic environment. What has become clear to us in the midst of the freedom of expression debate raging in South Africa is that Bush Radio needs to do more. We need to actively search out information on these issues from academics, NGOs, research organisations and politicians so that we can do our job. And our job has always been to facilitate the process of our listeners, our community, making informed decisions. 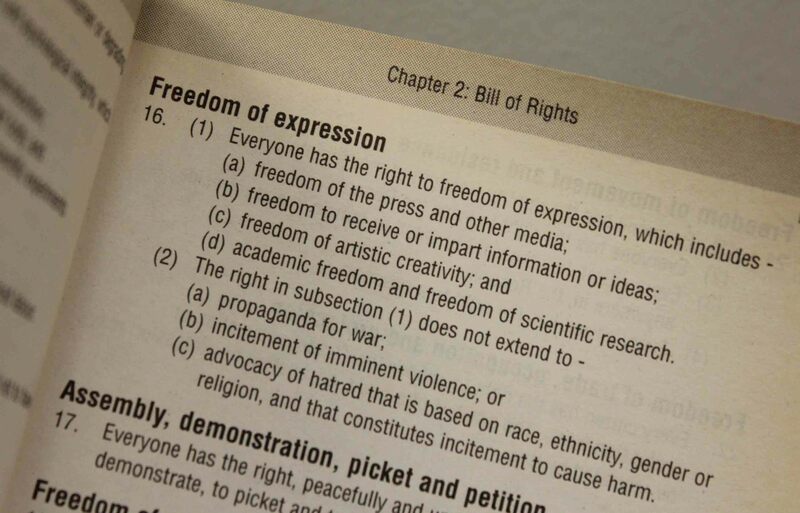 The debate around the freedom of the media and freedom of expression should happen divorced of rhetoric, accusations and fears, which only serve to cloud what to many is a complex issue. 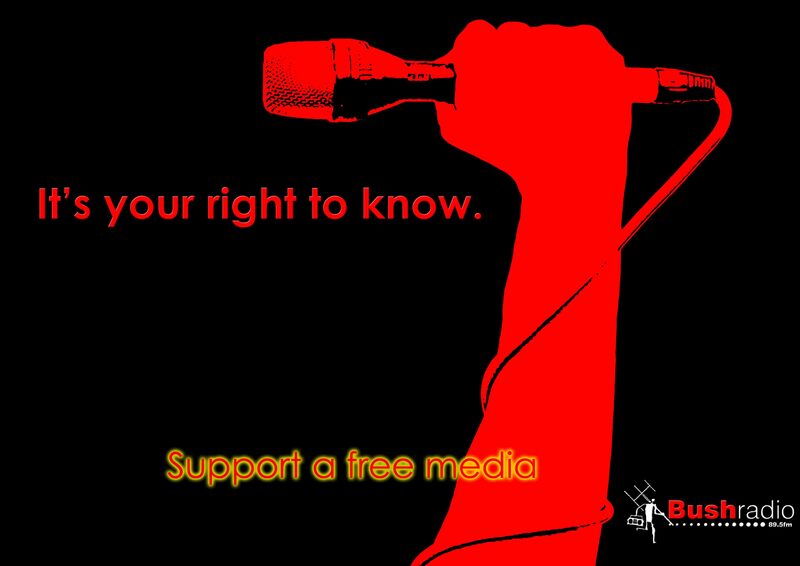 We recommit ourselves to facilitating your right to access to information, and ultimately to remain a vehicle through which you can exercise your right to freedom of expression. This entry was posted on 19/08/2010 at 2:40 PM and is filed under Uncategorized. You can follow any responses to this entry through the RSS 2.0 feed. You can leave a response, or trackback from your own site. An attack on the media! (or not) –	A comment regarding the proposed SA media tribunal. It seems somewhat convenient for the media to be portraying itself as the noble purveyor of truth. Instead of engaging on the issue at hand it seems as if the media’s strategy in the debate of a media tribunal is to make it seem as if any attempt to keep it in check is somehow an attack on truth itself. In the SA context this is simply not the case. There have been numerous instances of the media being less than completely honest, and in some instances being downright “generous” with the truth. The tone of many a newspaper article, radio or television insert or supposed investigative journalism program fails dismally at hiding the blatant bias and subjectivity. It does seem as though certain mediums have even become somewhat unashamed and vindictive when it comes to displaying these biases! (Watch a couple of “award winning” investigative journalism and magazine programs and you’ll see what I’m referring to.) Sure, this does not mean that the media on the whole is being dishonest, but a cursory examination does reveal that there does seem to be a growing problem of the media abusing its powers. 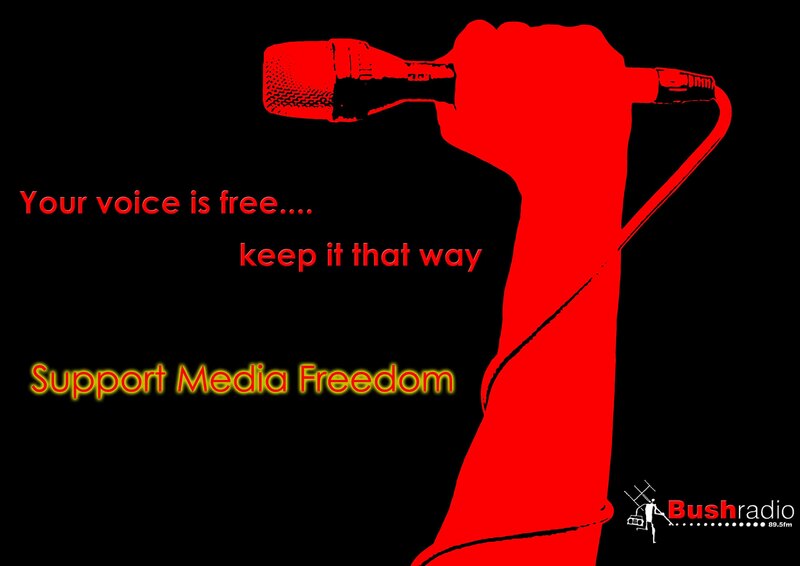 “Freedom of the press” – is a phrase frequently thrown around when any suggestion of the media misbehaving is raised. Like all freedoms, goes the requisite responsibility. When free citizens, like you and I, walk the streets we are expected to behave in an appropriate way. If not, then there are repercussions. So to, suggesting that the media behave in an appropriate way is hardly an attack on their freedom or ours. Especially when considering just how powerful the media is at shaping your and my perceptions. It’s an insult to rational individuals, when reporters, journalists and talk show hosts assume that we require them to interpret the facts on our behalf. Their job is to report on the facts objectively and leave the interpretation of those facts up to us. This is not merely a function, but rather a responsibility which they (the media as a whole) are more and more frequently failing to do. That said, it would be naive to think that there are not certain elements who would try to exploit an independent body in order to conceal their wrong doings or manipulate the media. The point is that these issues, like most complex issues, are never cut and dry. These arguments tend to falter because so frequently individuals get stuck on one point or one phrase and then harp on this singular point or argument because it is convenient to do so. This is especially true when these retorts invoke some sort of emotional resonance with the average Joe – such as “an attack on our freedoms!” This is the typical “let’s throw out the baby with the bath water mentality” which so frequently renders many a political debate ineffective. No-one wants to return back to the days of the government manipulating the media, but at the same time it does appear as though there are very real instances of the media currently being manipulated either by certain political forces or simply to sensationalize otherwise trivial issues. The powers-that-be cannot continue standing by impotently whilst the media does its own thing. The media, like any other law abiding entity or professional body, needs to be held accountable for its actions. Self-regulation has clearly not worked. At the same time the mechanisms and implementation of a regulatory body, and the legislation which governs it, needs to be very carefully debated and crafted by those pundits who completely understand the dangers associated with the misuse of such an entity. A carefully considered piece of legislation will need to ensure that no further opportunities to manipulate the truth are created by the very entity which is meant to be encouraging more honest and responsible reporting by the public media. Adrian, Excellent posting and summary of the role of Bush Radio and all independent media in providing a diversity of views that enable individuals to make up their minds on issues. ICT has changed democracy, making access to information more possible for more people. Better informed citizens have more power per vote and are likely to participate in debates from clearer and well informed perspectives. This makes leadership more accountable. It’s sad when States feel threatened by that and act to curtail the very essence of democracy.